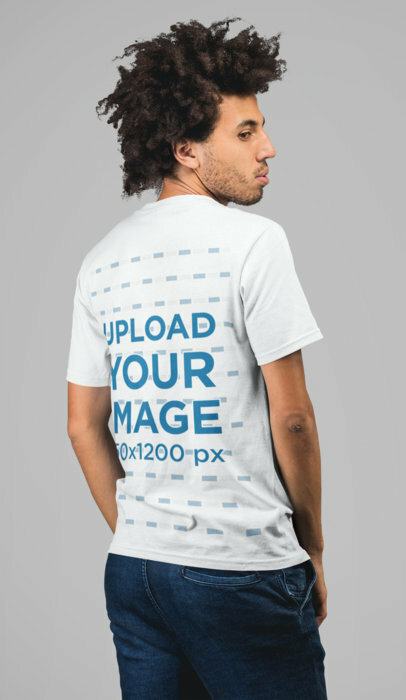 A male has his back to the camera. 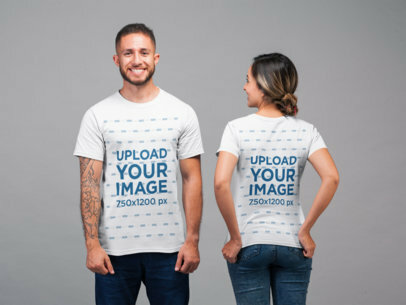 His head is turned to the side and you can see the right side of his face. 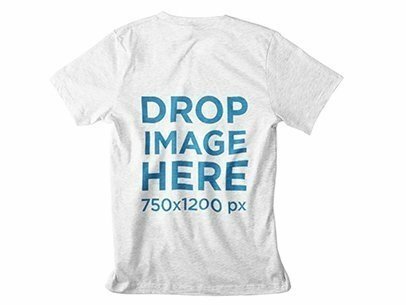 He is standing in front of a dark gray background. 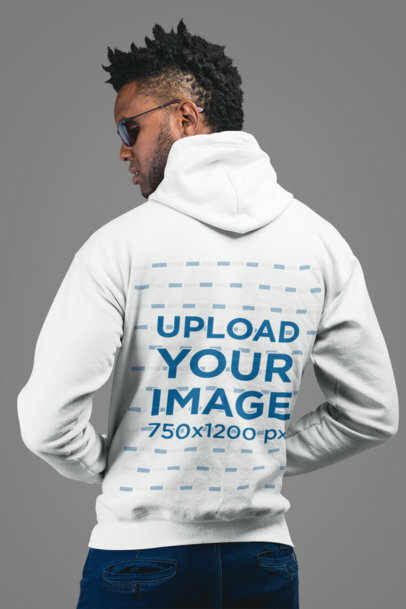 He has brown hair that is cut into a fade haircut. 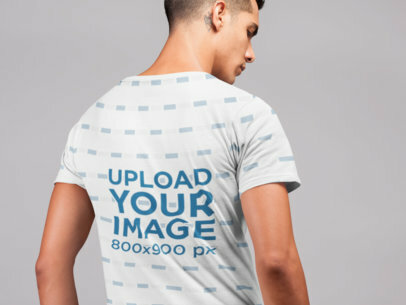 He has a white shirt on that looks as if it has gray hyphens all over the back of it. 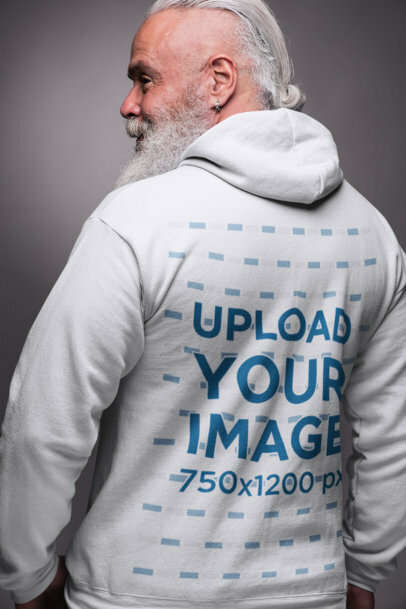 He is the sole focus of the picture, just him and the background. 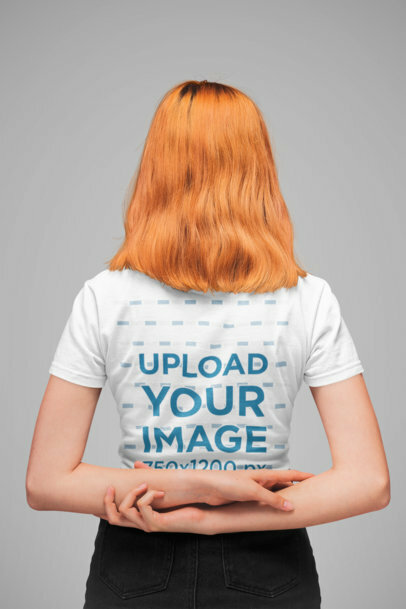 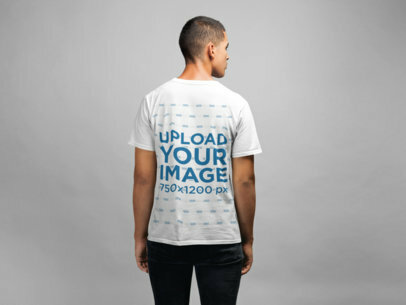 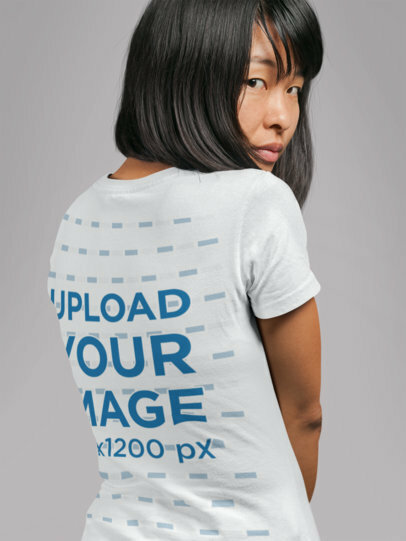 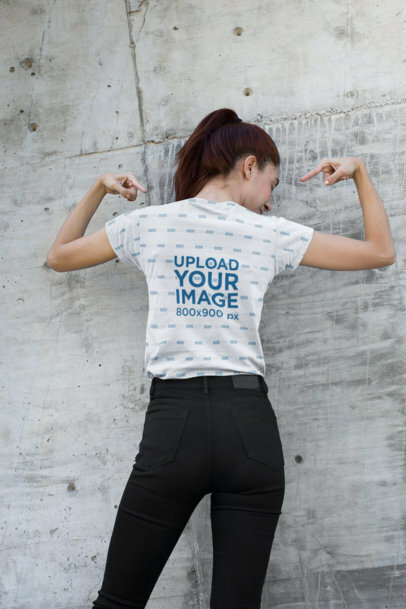 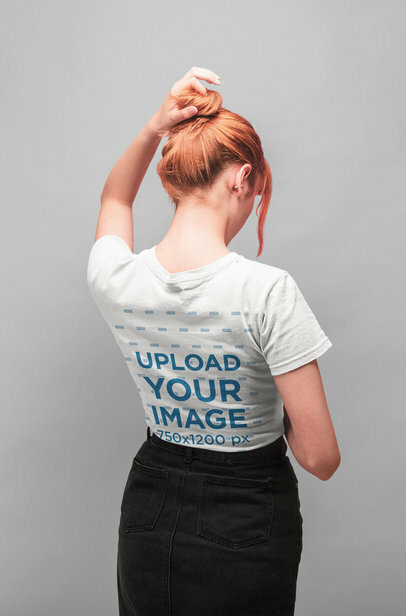 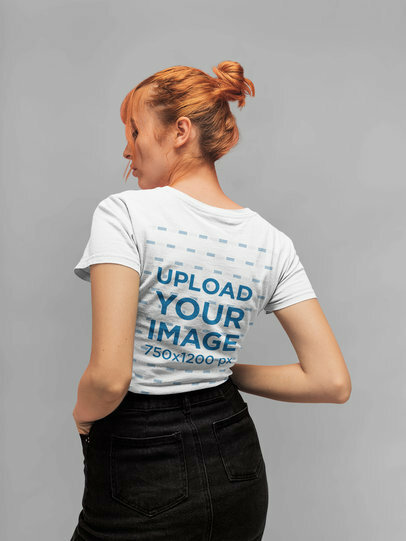 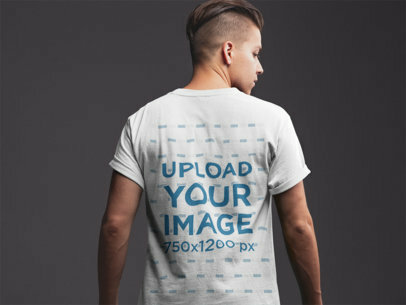 Showcase your best designs in the back of this t-shirt. 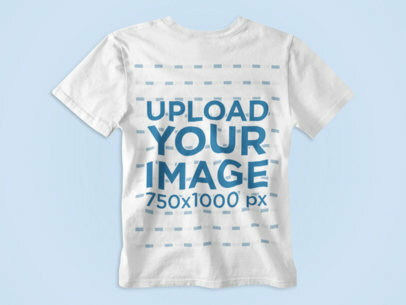 It's easy to use and you can customize the t-shirt color and background to your liking. 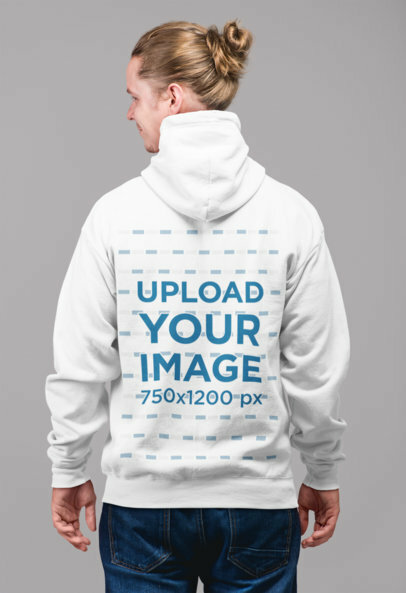 This mockup is great for clothing lines and POD shops! 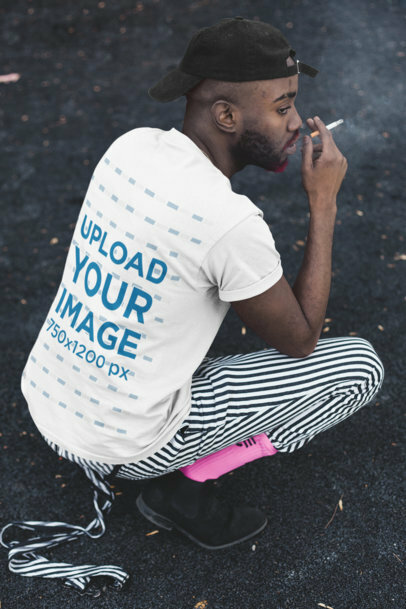 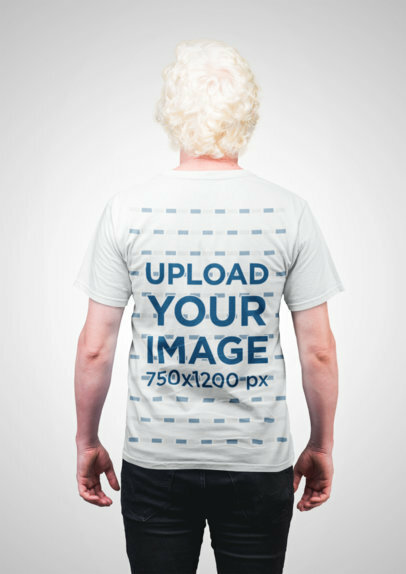 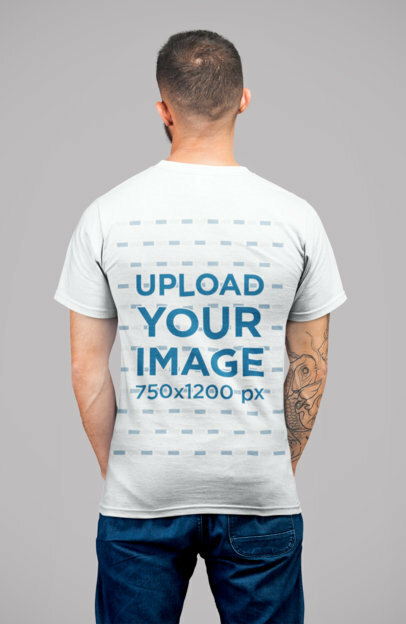 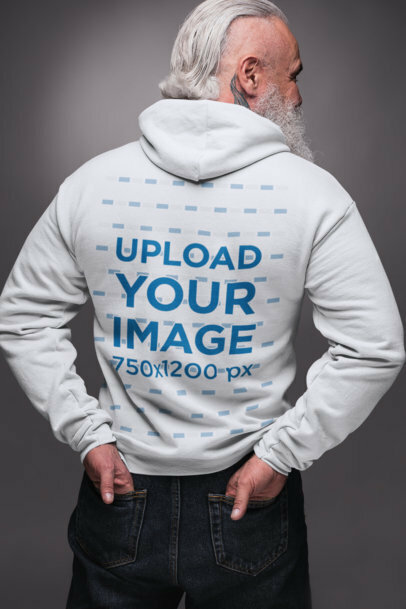 Take this amazing visual of the back of a man wearing a round neck t-shirt and promote your latest designs for tees in a better way! 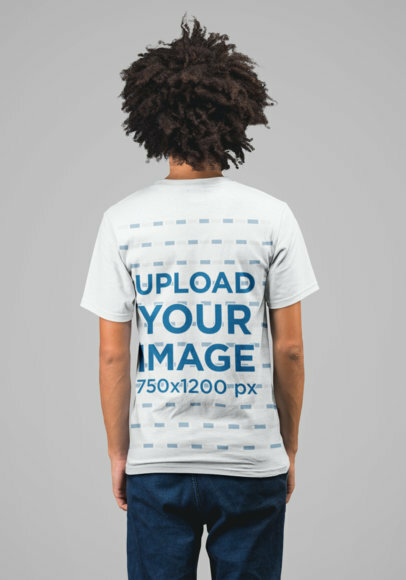 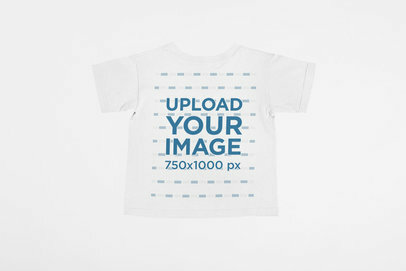 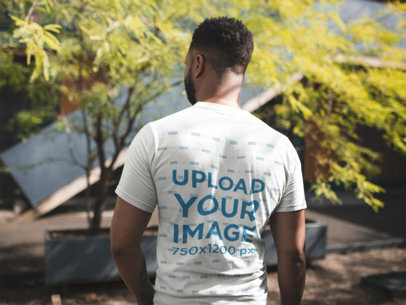 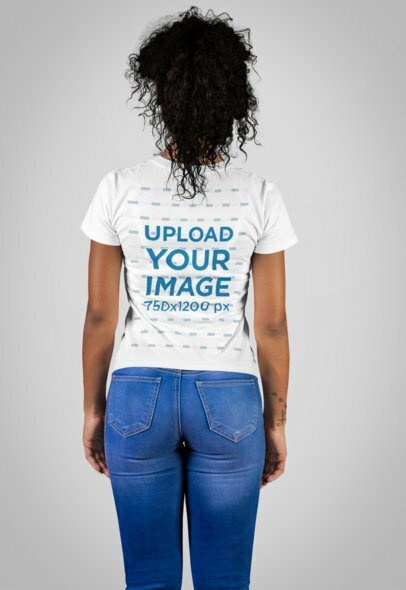 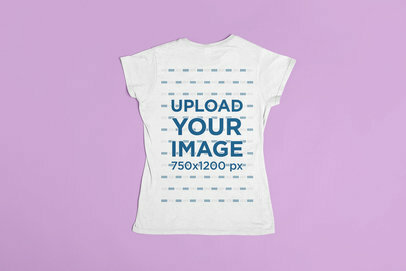 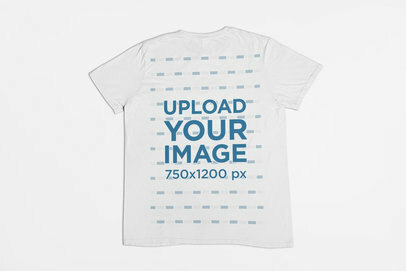 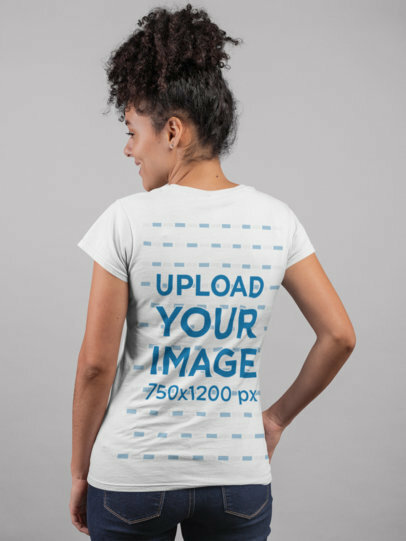 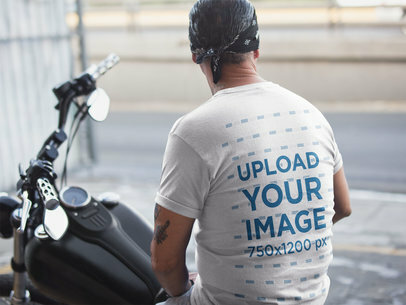 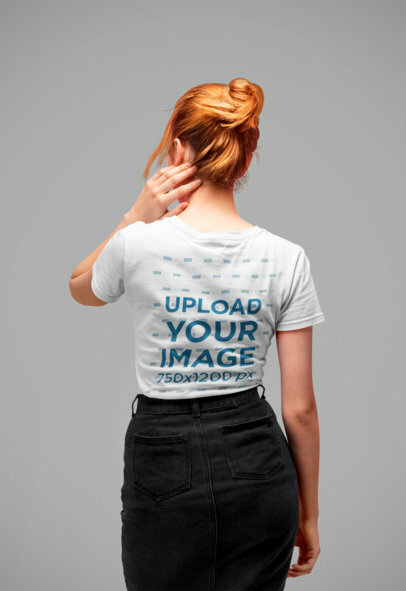 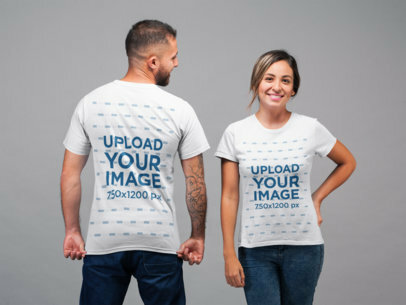 Use simple studio t-shirt mockups to showcase your design with it being the center of attention. 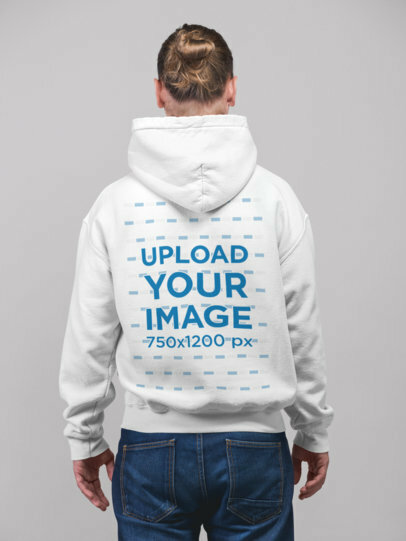 By showing your audience a more realistic picture of your design being worn by a person, they'll get to see how it looks like in real life! 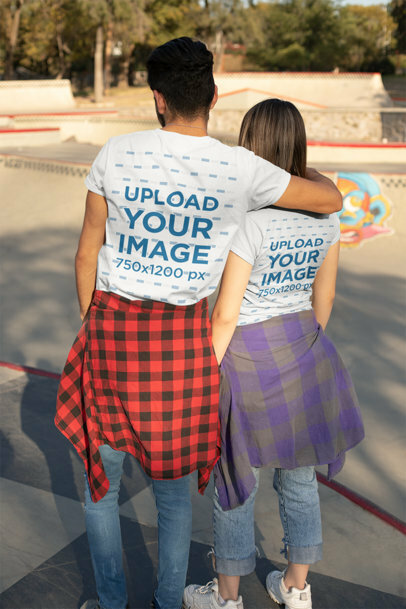 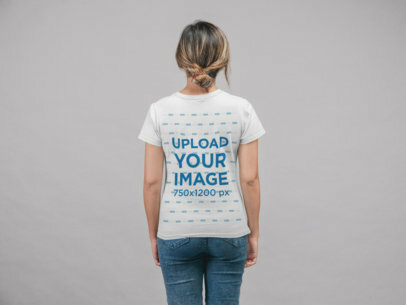 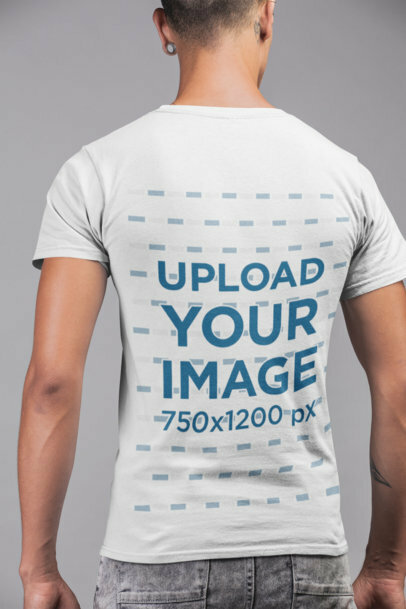 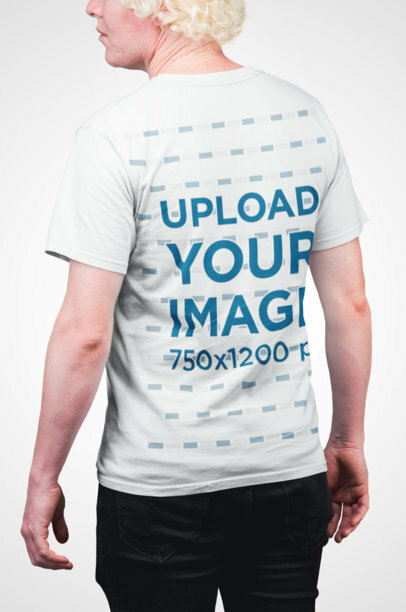 Try this t-shirt mockup for your back t-shirt designs, the colors are customizable and the background can even be transparent!. 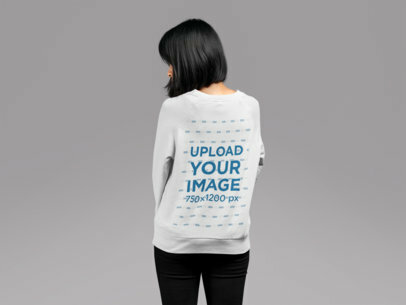 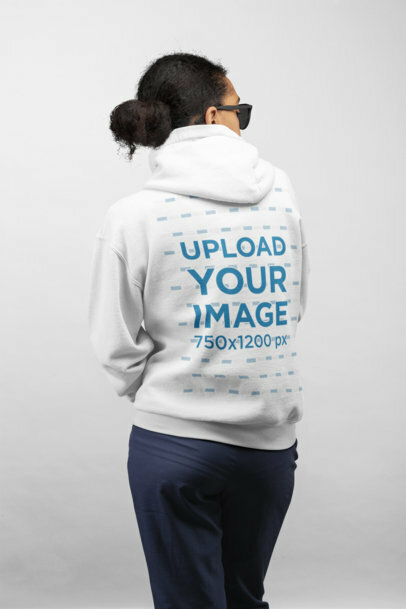 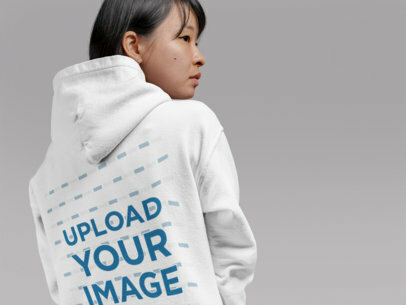 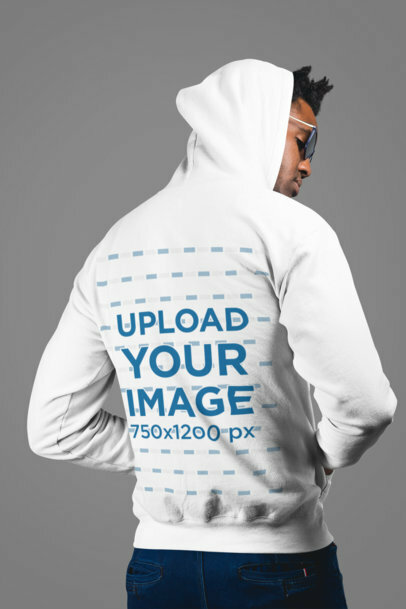 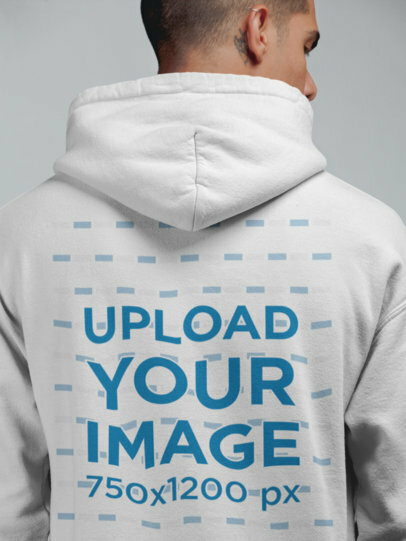 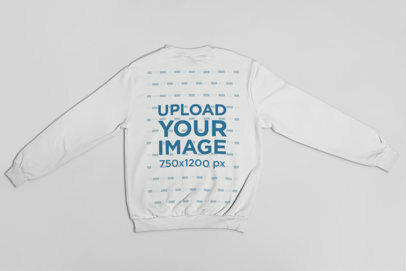 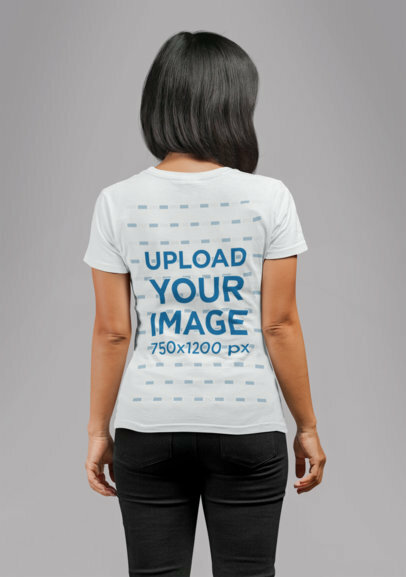 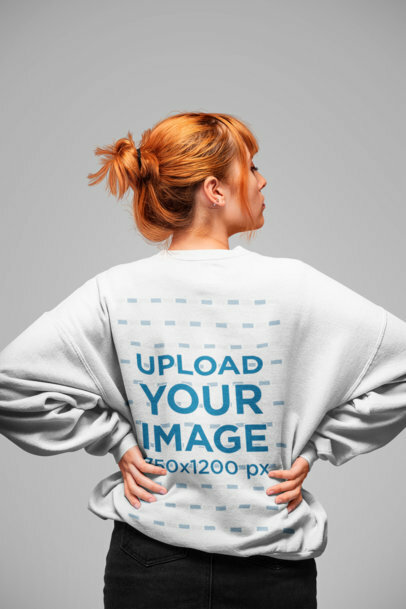 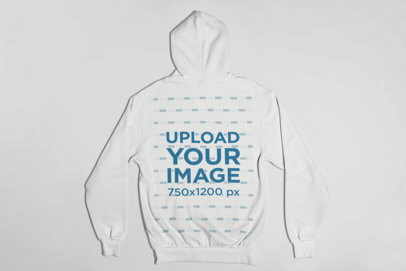 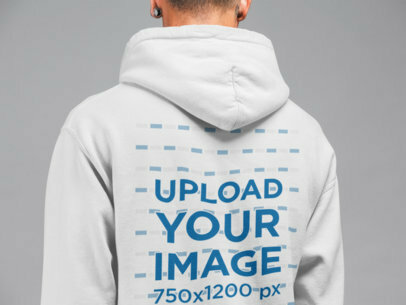 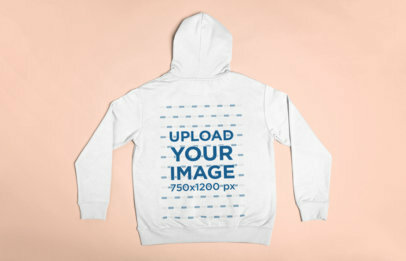 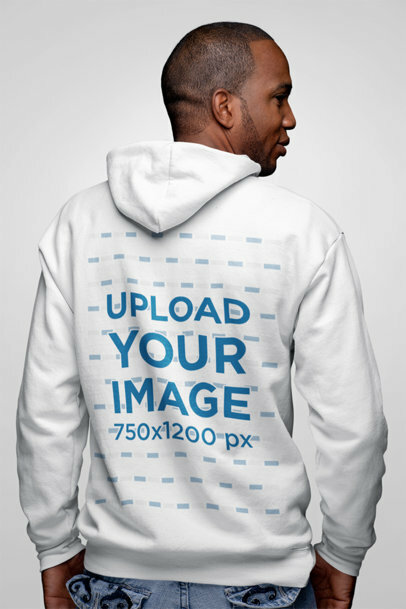 Placeit's apparel mockups offer the best models, locations, trends, and all with an easy setup.